Parker joined Commonwealth Financial Group in 2014 due to its entrepreneurial model. Prior to joining CFG, Parker was at Northwestern Mutual for one year full-time and two years as an intern. Parker considers himself a steward of his practice. He provides value to his clients by educating them on the financial conflicts and contradictions that exist in their lives. He believes that it is his responsibility to manage his practice so that he can affect positive change in the lives of his clients. He specializes in working with Active-duty military, veterans, and government-service employees. 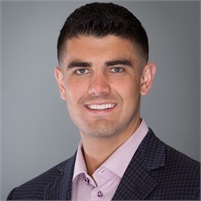 Parker graduated from the Military College of Vermont in 2013 and was recognized as the New Advisor of the Year by the National Association of Insurance and Financial Advisors (NAIFA) of Vermont the same year. He currently resides in Colchester, VT and enjoys snowboarding, hiking, and reading in his spare time.